One of our NEWEST members to the SINGER® FUTURA™ family. You asked for it and we designed it. 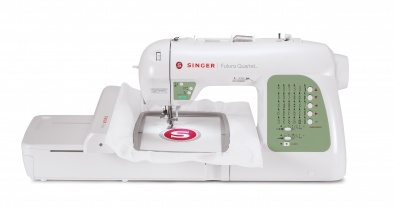 The SINGER® FUTURA™ SEQS-6000 is ONE machine with four functions—sewing, embroidery, quilting and serging.